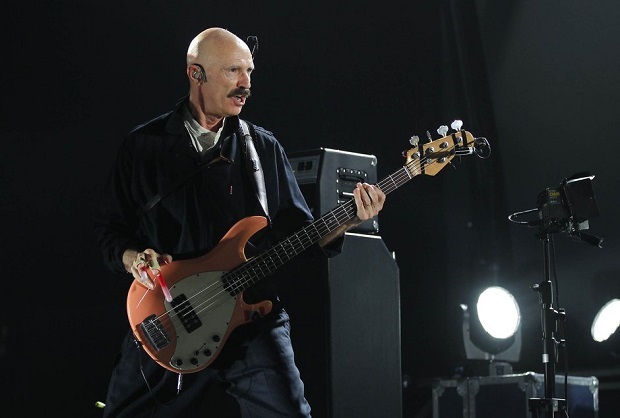 With career spanning over 40 years, Tony Levin’s work is connected with many music defining acts. Best known for his work with one of the progressive rock’s most influential bands King Crimson, as well as for his work with Peter Gabriel, Levin has also collaborated with the likes such Alice Cooper, John Lennon, David Bowie, Dire Straits, David Torn, Alan White, Pink Floyd, Liquid Tension Experiment, Tom Waits, Buddy Rich, to name but a few. Levin released six studio albums under his own name. His 2007′s album Stick Man led to forming a trio Stick Men, comprised of Pat Mastelotto, Levin himself and fellow Chapman Stick player Michael Bernier, who was replaced by Markus Reuter after the band’s first album Soup was released in 2010. Stick Men put out four releases to date, three full length records (Soup, 2010; Open, 2012 and Deep, 2013) and an EP (Absalom, 2011). Following the 2013′s USA Deep tour, Stick Men are set to release a live album called Power Play on January 17, 2014. In a September’s update from the Crimson’s mainman Robert Fripp, it has been confirmed that Tony is one of the members who will be taking part in the band’s eighth incarnation. One of Levin’s most recent collaborations includes a project initiated by a producer Scott Schorr (Lazy Bones Recordings), which besides Levin includes Marco Minnemann on guitars and drums and Jordan Rudess on keyboards. The album simply named LMR has garnered rave reviews from both media and fans. Prog Sphere talked with Tony about the Levin Minnemann Rudess project, King Crimson’s return and his plans for 2014. 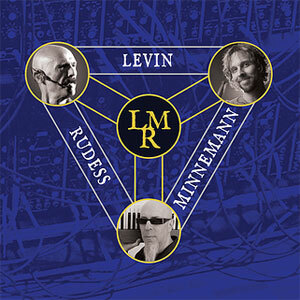 Since the beginning the Levin Minnemann Rudess project was established as a studio-only offering. In the beginning it was basically you and Marco Minnemann creating the core of the record, with Jordan joining later. What was your initial guide for this album? How long did it take you to complete the recording? Well, as is usually the case, I had some writing ideas around, and probably Marco did too (I’m not sure.) The plan I liked was to have Jordan contribute some pieces that began with his keyboards. As it turned out, time didn’t allow that, because he was busy and also because Marco was churning out good material very quickly… so by the time Jordan was beginning, we already had more than enough material, and so he turned his attention to adding great stuff to the pieces that were there, and did indeed make them into much more special musical offerings. Which segment in particular related for “LMR” was the most challenging for you? You and Jordan already worked together before with Liquid Tension Experiment, so how did it go with Marco? I’d say the biggest challenge was keeping a grip on where the whole project was going musically. Scott (Schorr, our producer) was very helpful there – collating material, keeping lists of what was what, and where we needed to do more. There were times, I’ll admit, when I’d be sent a piece or a segment, and i couldn’t figure out what to play on it, or even whether I’d already played on it and lost the part! As usually happens with good musicians and producers, when you can’t keep it all in sight and have to trust the others, it still comes out fine, and maybe in my case better than it would have if I gave direction on all the pieces. When reading the line-up of the album, one would think that there is no guitar on the record, but Marco besides drumming plays guitar on it. How did these guitar parts come along? Marco would be the one to give you those stories. I only know that I expected drum parts from him and got a lot more — and good stuff too. Production-wise, did you and Scott have any pre-defined goals on how the record should sound? Something in particular that you wanted to follow or achieve? The album has been receiving great reviews ever since it was released. Are you satisfied with its reception? Although all of you mentioned that the project is not just another one-off thing, does the reception of the album make you look on the whole project more serious? I’m thrilled that people are liking the music we made – what can be more satisfying than that! I’m grateful to the guys in the band and to Scott for making it all happen, and also to the online reviewers who heard something they liked and got the word out to the public so well. There is so much music out there, it’s hard to get anybody to even listen to your material, no matter how good it is… so I’m very aware of the help we had, and grateful for it. All of you are pretty much booked until the end of the year. Jordan is on tour with Dream Theater, Marco with The Aristocrats and you are switching from Stick Men to The Crimson Projekct to another run of the European “Back to Front” tour with Peter Gabriel. And there is also King Crimson announced for the fall. That probably means that we can expect something new from Levin Minnemann Rudess in 2015. Is that right? Speaking of these “switches” between different acts you perform with, how hard is it for you to adapt for the new working environments? I guess that it comes with the years of experience, but do you ever have any kind of issues when it comes to that? Right now I’m working on a jazz album, with my brother Pete, and playing jazz cello on that… yes, I’ll admit I find it pretty tricky to return to the Stick and electric bass after a few weeks of that other instrument, and the feel of rock is different than jazz. Hopefully it’ll just be a couple days of practicing to get back in the other groove. I can’t help but ask about the King Crimson’s return. The full-line up has been revealed back in September 2013, have you had any talks about how this whole thing will go? What can we expect? I don’t know much yet — we haven’t got together to rehearse, although the 3 drummers are talking about doing some drum rehearsals! I’ll know more in the Summer, but my guess is that we won’t really know what it’s going to be like until it gets there, which will be when we start playing shows. You will be mostly touring this year, but do you have anything in the pipeline speaking of new studio material? Stick Men have a brand new release (I haven’t even heard it yet) of the band live in concert. It’s called “Power Play”. And as I said, the Levin Brothers jazz album is underway – will be released sometime after Summer. I’ve been playing on some nice albums of other artists, which is always fun for me when I’m not on the road, but those are about it for the upcoming albums I can name.